● SOUFEEL regularly holds limited time special deals and sale events such as the Black Friday blowout and Christmas Super Savings sale which feature various offers such as discounts, coupons, double points, free gifts and many others. ● For a limited time, SOUFEEL may offer freebies on all orders, plus additional free gifts with minimum purchase amounts. ● Shoppers will also find a variety of SOUFEEL coupons, mostly offering tiered dollar savings on minimum spends or percentage discounts on storewide orders. ● They can also earn reward points on their SOUFEEL purchases. It’s free to sign up to the Rewards Program to start earning points convertible to store credit. ● The online store offers free worldwide shipping on $50+ orders. Buying jewelry for yourself or for a loved one is simple when you're able to browse through different pieces online. Sou Feel is an online jeweler that specializes in unique gifts for yourself or someone close to you. Their product selection includes charms, bracelets, rings, earrings, necklaces, and a list of the most recommended gifts for different occasions. They generally host sales throughout the year and they'll be advertised on the front page of the website or they will be added to their seasonal sale section that is located at the top of the website. Creating an account helps you to keep track of your order. 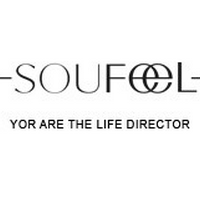 For most up to date offers check out Soufeel on Facebook and Twitter or contact Soufeel Support for any questions.